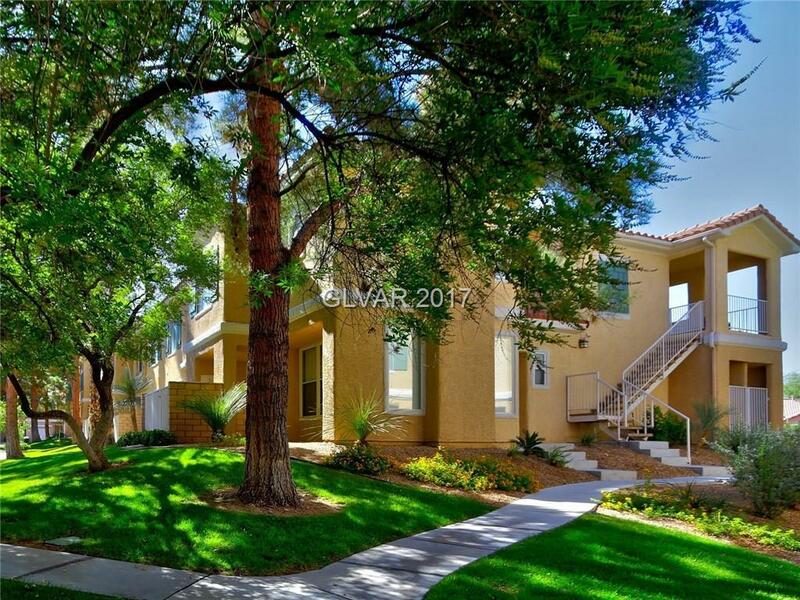 Stunning and highly upgraded unit located in the gated community of Bella Terra. This lovely home features hardwood floors, granite counter tops, stainless steel appliances, two bedrooms, upgraded bathroom, fireplace, one car garage and is located within walking distance from the Green Valley Resort and Casino, The District, shopping, entertainment, schools and parks. The community features a community pool, wellness center, and community gate.